To complement the 2600 acre natural environment, the HMF Field Station offers an office, two labs, a classroom, computer work stations and wireless access for researchers. The wet and dry labs are appropriate for processing field samples and teaching small lab sections. 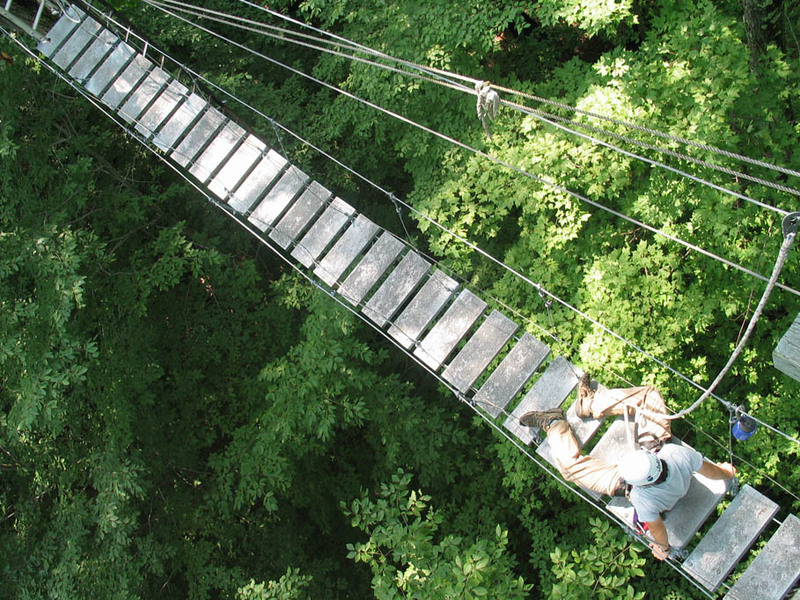 Of interest to forest ecologists is the 70-foot canopy walkway that connects observation platforms in two large red oaks. Databases and past land use history information are available for researchers. The forest has a variety points of historical interest–foundations, stone walls, a collection of antique farm implements, photographs and maps–which give an insight into the landscape’s past. A grid of 440 permanent plots overlays the forest; each block in the grid represents five acres and each is marked for easy navigation within the forest. Basic field equipment can be signed out from the Forest Office. 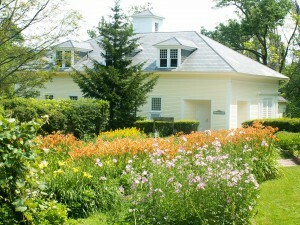 The Rosenburg Center, originally built in 1906 as the carriage house and stable for Buxton Farms, is located at the eastern entrance to Hopkins Forest and is the focal area for many forest activities. The building was renovated in 1979 through a matching grant to Williams College from the National Science Foundation. The Center houses a classroom, office, two laboratories, computer work stations, wireless access, exhibit space, and archives; all are integral to the education and research programs of the Forest. In addition, a collection of field guides and manuals is available for use at the facility. Public restrooms and first aid facilities are also available in the Rosenburg Center. The museum space in the lobby is used for interpretive displays relating both to research conducted in the Hopkins Forest and to the landscape history of the region. The Rosenburg Center is named in honor of Arthur E. and Ella G. Rosenburg, Williamstown residents whose association with Buxton Farms and Hopkins Forest dated from 1908 until their deaths in 1990 and 1988 respectively. They were trusted and valuable members of the Buxton Farm family who assumed caretaking duties from 1924 and provided continuity on the site until 1935 when the Forest Service arrived. The Rosenburgs contributed farm artifacts and a wealth of information about the history of this particular landscape. But more than this it was their wit, charm, and love of this land and its people that led to the dedication of the field station facility in their honor. A stock of field and lab equipment is available to students and faculty working in Hopkins Forest. Books and equipment (linked below) can be signed out and borrowed at the Rosenburg Center. Contact the Forest Manager for details. The Moon Barn, now located diagonally across the driveway from the Rosenburg Center, was Williamstown's major American Revolution Bicentennial Project. 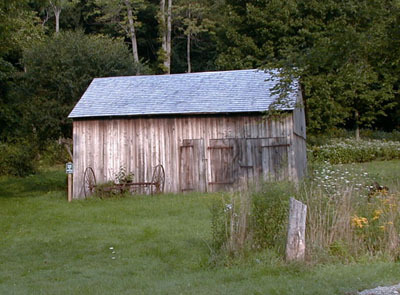 The barn was originally located in the Moon Lot near the center of the Forest, and was dismantled, moved and reconstructed in 1975-76 as an outgrowth of a senior thesis in History conducted by Peter B. McChesney '75. The barn presently serves as display space for some of the collection of farm machinery, tools and implements, as well as photographs, publications and other materials related to agriculture and for occasional public demonstrations of techniques related to the agricultural heritage of the Berkshires. Requests to study or photograph these materials should be directed to the Forest Manager. The 1-acre Buxton Garden is located on the north side of the driveway across from the Rosenburg Center. 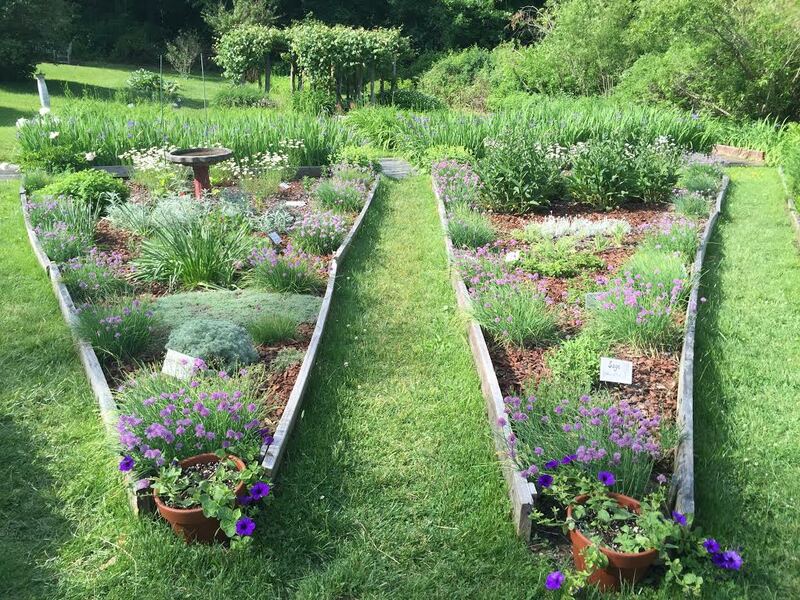 At the turn of the century, the original farm garden of the Hopkins estates was about twice its present size. The garden exhibits characteristics of both formal and functional Victorian designs. 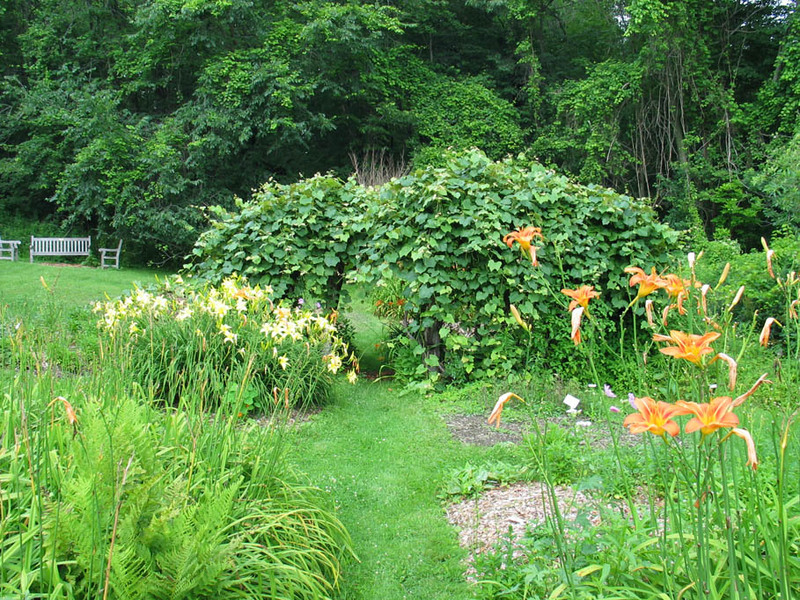 The CES and the Williamstown Garden Club began Restoration as a Bicentennial effort. Some of the original plant material has been used in the restoration in addition to many plant varieties typical of late 19th Century gardens. The array of functional plants includes rhubarb, grapes, and various herbs. There are also many varieties of flowers that bloom during different seasons in the Gardens. Perched high in the trees, 65 feet above the ground, the canopy walkway offers a unique perspective into the forest. 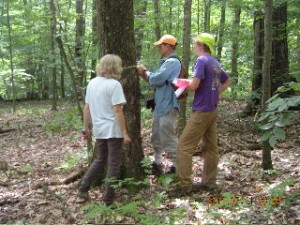 This arboreal observation facility was established in the early 1990s to enable faculty and students to investigate life and physical conditions in the canopy. Today the walkway, which consists of two platforms linked by a catwalk, is used primarily for educational purposes. Access to the platforms is via tree-mounted ladders. The use of standard issue safety equipment and trained guides (for visiting groups) is required. Anyone interested in using the walkway for academic purposes or arranging a group visit should contact the Forest Manager. The 400 permanent plots, arrayed along a grid that spans the forest, provide a window into 70 years of vegetation change on the landscape. These plots, which were established and first surveyed by the U. S. Forest Service in the 1930s, constitute one of the longest regularly monitored vegetation databases in the nation. These data and the plots themselves provide the opportunity for correlation studies as well. Inquires about the using the plots or dataset should be made to the Forest Manager. There are currently four weather stations present in or near Hopkins Memorial Forest that employ various weather sensors and data loggers to collect data electronically. These data supplement the manually collected data from 1983 to October of 1987. Presently data through year 2000 can be accessed and searched through an archive. The data collected includes the following: Temperature in degrees Celsius, percent Relative Humidity, millibars of Barometric Pressure, Watts per square meter Solar Radiation, Wind Speed in miles per hour, Wind Direction in degrees, and inches of Precipitation. The sensors for each parameter generate a voltage based upon current weather conditions which in turn is converted to the desired units of measurement by a formula stored in the data logger's program. 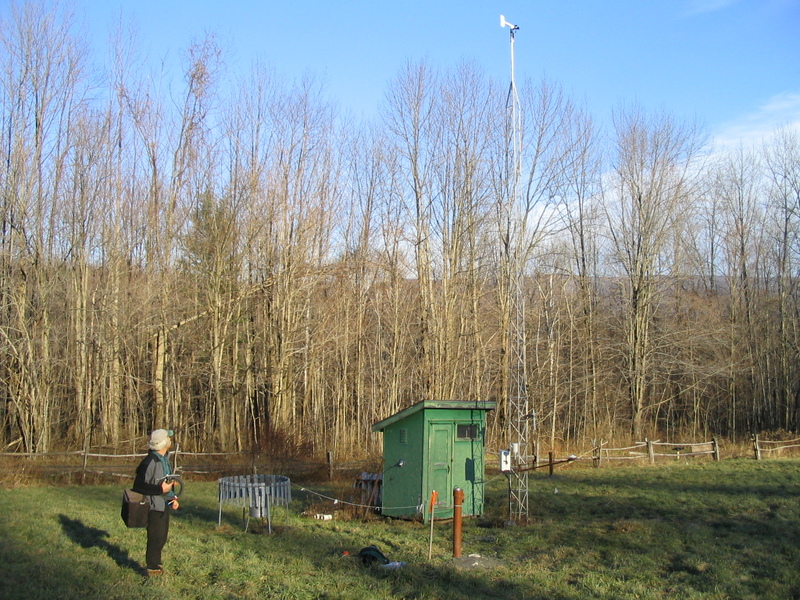 Three of the four stations are remote, whereas the main weather station located in the open field off the Lower Loop Trail, is connected to the Williams College computer network enabling an approximately 10-minute delayed current weather status. The weather stations are checked weekly to ensure all sensors are operating correctly. Each data logger has several program options stored in its memory that allow one to check the operation of all the sensors, the actual voltage on the rechargeable battery, and the current date and time. At least once a month, the Data Storage Modules connected to each data logger for data storage, are changed and brought to the Environmental Analysis Lab in 236 Morley for processing on UNIX; the exception being the main weather station where data is downloaded over the network. 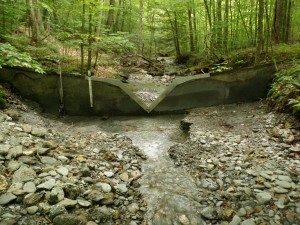 In the 1930's, the Civilian Conservation Corps constructed four concrete dams (or weirs) in Birch Brook within Hopkins Memorial Forest. 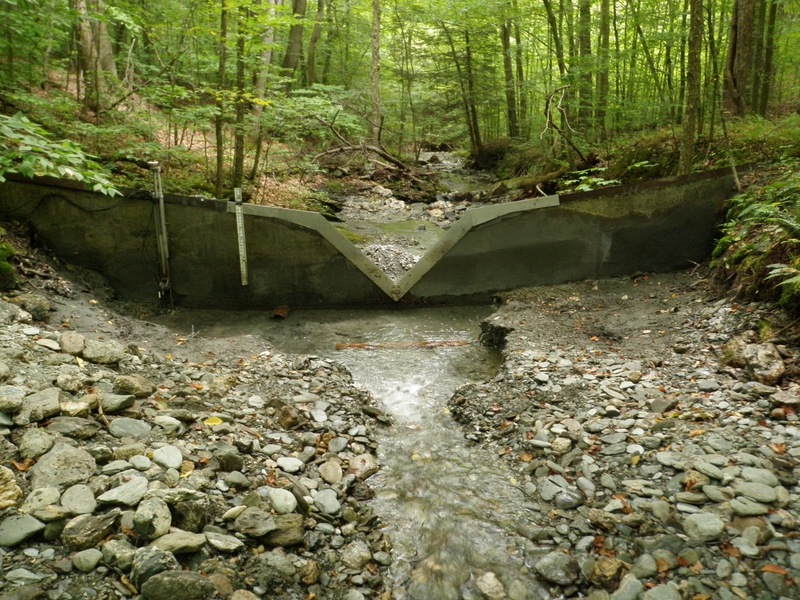 What makes the dams so interesting is that there is a 90 degree V-shaped notch in each dam which allows us to calculate water discharge over the dam if the depth of the water above the V-notch is known. In the past, this was done using a floating bob attached to a pen and a strip chart recorder. Although very dependable and reliable, data reduction was tedious. Data is now recorded electronically using data loggers attached to Pressure Transducers (sensors) in the water on the upstream side of the weir. Using this system, we continuously monitor Stream Depth in feet and Temperature in degrees Celsius at the weirs in the Main Stem and South Branch of Birch Brook. Data from 1983 to the present will soon be available as a searchable archive database. The data loggers are checked weekly; the height of the water at each weir is checked visually using a Stage Plate (a permanently mounted measuring stick) installed at each of the weirs, plus by hand using a portable graduated Stream Gauge measuring stick. These values are then compared to the current value on the data loggers as read by the sensors. The Data Storage Modules connected to the data loggers storing the recorded data are changed once per month, and brought back to the Environmental Analysis Lab in 236 Morley to be processed on UNIX. Professor Duane Bailey has been instrumental in writing or supervising the writing of programs that allow us to reduce the data recorded in feet of water, to data which is reported as water discharge in cubic feet per second over each weir. Please contact Prof. David Dethier with any questions.